Hey there! 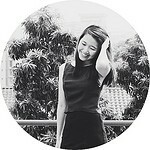 I’m Jessie, a beginner sewist living in sunny Singapore with a love for bad puns (as if my URL isn’t obvious enough) and quirky prints! I started JessSewFabulous as a way to document my sewing and making journey and to spur me on to begin ever more ambitious sewing projects.I love that the global sewing community is such an encouraging and friendly place and would be thrilled to get to know all of you guys (especially makers in Singapore! It feels like there are way too few of us around). Feel free to leave me a comment or drop me an email and I’ll be sure to get back to you! P.S. I also run a travel and lifestyle blog with my sister over at shoestringxsisters.wordpress.com, so hop on over there if you want to find out more about living large on a budget in Singapore (and beyond!). Interesting… I thought I was the only one! I started blogging because I wanted to talk about sewing with others too… I literally know no one who sews! Going the way of the Dodo bird, are we? Well I suppose it’s worked because we’ve now both gotten to know someone new! Hi Linda!